Despite the growing popularity of vehicle tracking, challenges around its adoption are multifarious. 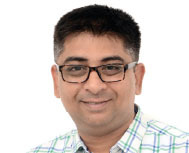 Munish Bhatia, CEO, Trak Masterz provides us an insight - “Personal vehicle owners commercial players and transporters are quite enthusiastic around the adoption of these tracking devices. The demand for feature rich vehicle tracking solutions is high; yet, when it comes to making the required investments, customers do not want to make the necessary investment. The vehicle tracking solutions market in India is also quite unorganized.” Trak Masterz, a Delhi based boot-strap start-up beats these challenges to successfully drive the vehicle tracking solutions market with their novel offering ProAlly. Designed with safety as the prime goal, ProAlly is a GPS tracking and asset management solution which includes a tracking device and a web and mobile application available for both Android and iOS devices. The product boasts of real-time traffic update and tracking capabilities along with alerts that notify users if the engine of the vehicle is on/off, if the vehicle remains stagnant despite the engine running and even if the vehicle exceeds the desired speed limit. Geofencing is another sought after feature that characterises ProAlly, whereby users are alerted whenever the vehicle moves beyond the set boundary. Users can leverage the solution to monitor the vehicle’s fuel consumption and even immobilise it within seconds if the user believes that the vehicle is being misused or stolen. Staring off their operations in September, 2017, Trak Masterz has been taking baby steps in the market. However, within a short time the start-up has already managed to make a mark, selling nearly 250 units on a monthly basis garnering a customer base of over 1500 customers. Besides the robustness of the product, an experienced team of technology enthusiasts with an in-depth understanding of the vehicle tracking market and the organised approach of Trak Masterz in this unorganised segment has been amongst the key factors that have enabled it to achieve this feat. With its major focus in the northern region of the country, the start-up works through a strong channel of distributors based in Delhi, Ghaziabad, Noida, Meerut, Rewari, Mahindergarh, Chandigarh and other cities. Trak Masterz also extends technical support to customers through a dedicated customer support division to whom customers can reach through a helpline number at any time of the day. Trak Masterz’s ProAlly is available for customers in two versions- ProAlly Prime priced at INR 5500 and ProAlly Lite priced at INR 4500. The only difference between the two versions is the immobilisation feature which is only available to ProAlly Prime users. Despite a set price, the team at Trak Masterz brings in a flexible pricing setup to meet the requirements of customers from economically weaker sections. In addition to the vehicle tracking solution, Trak Masterz also delivers Personal Trackers which have been equally in demand. Currently, the start-up is in the process of expanding its reach to Western Uttar Pradesh and Punjab. Further ahead, Trak Masterz aims to emerge as a brand name synonymous with safety. Trak Masterz is also honoured with Start–Up Excellence Award 2018 for “INNOVATIVE STARTUP IN TECHNOLOGY FOR VEHICLE AND PERSONAL SAFETY” from Indian Start-Up Convention on 12th May 2018.